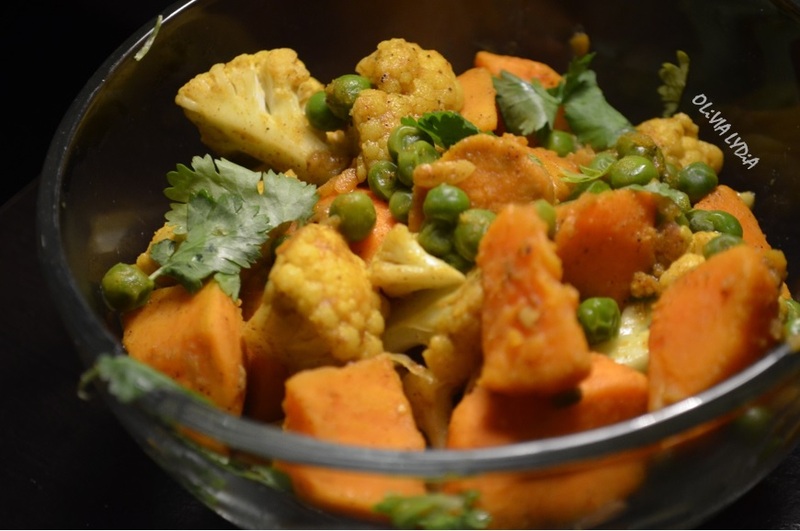 Aloo Gobi (Indian Style Cauliflower with Potatoes) – Olive For Greens. Aloo Gobi is usually made with white potatoes. I don’t typically don’t have white potatoes at home because I don’t buy them often. 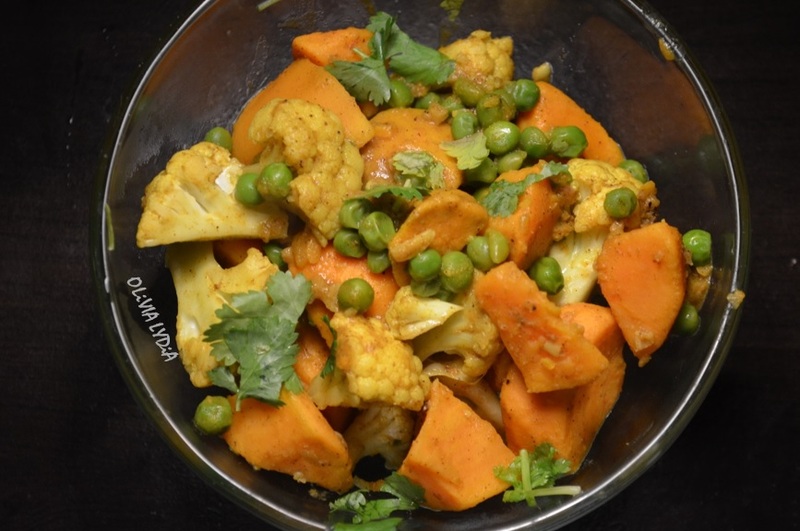 My version of Gobi Aloo includes sweet potatoes and peas. I love Indian spices and Indian food. If you haven’t had Indian food before, you are missing out! To me, Indian spices are unique and make my taste buds dance. I went out on a whim by using sweet potatoes, instead of white, and it paid off. I hope you enjoy this make over! In a large pot, heat the oil in a medium skillet over medium heat. Stir in the cumin, garlic, and ginger. Cook about 1 minute until garlic is golden browned. Add the cooked potatoes. Season with turmeric, paprika, garam masala, nutritional yeast and salt. Toss it for a few seconds then add the water then cover for about 10 minutes stirring occasionally. Add the cauliflower and peas to pot. Toss together then reduce heat to low-medium and cover. Stirring occasionally, continue cooking 10-15 minutes. Add the cilantro. Cover again for 3-5 minutes or until potatoes and cauliflower are tender.